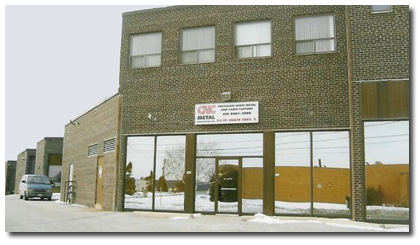 CNC METAL FABRICATION INC. began it's operations in 1988, setting its specialty in serving the needs of companies in the electronics and computer industries. CNC METAL offers many services to our valued customers in a wide variety to assist them in their manufacturing needs from prototypes to production of various parts to complete products. We employ only competent skilled personnel in our 27,000 SQ.FT. facility with state of the art equipments. We offer many sheet metal related services such as CNC Punching, Forming, Laser cutting, Shearing, MIG & TIG Welding, Fastner installation, and complete finishing as required. As a customer focused company, CNC Metal is committed to manufacturing and delivering products of consistently high quality on time, which meets the need of the customers and applicable statutory & regulatory requirements to provide continuous improvement, while adhering to all requirements of the ISO 9001:2015 Quality Standard. Our aim is total customer satisfaction with commitment to quality and on prompt delivery. If we can be of any assistance with your manufacturing requirements, please call, fax or e-mail your requirements to us.